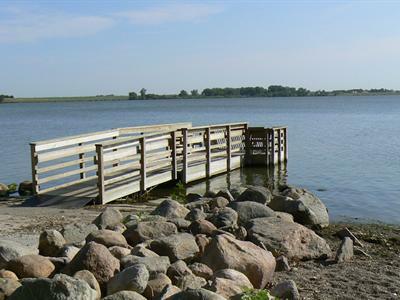 Naturalists enjoy the migrating birds and vast numbers of prairie grasses and wildflowers at Pelican Lake Recreation Area. Winter enthusiasts appreciate the park's cross-country ski trails, snowshoeing and ice fishing. Stay during the season in the campground or any time of year in a log-style cabin. Reserving your spot takes just a few minutes on the computer with the online system. Regular sites in the park come with electricity and comfort stations with showers and flush toilets. 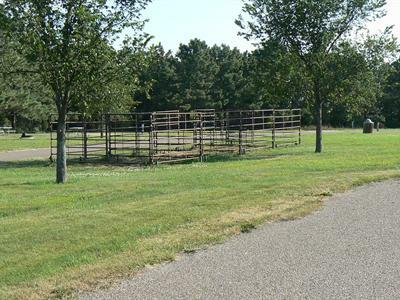 Sites in the horse camp include electricity and special amenities like hitching posts and corrals. Cabins provide scenic views, along with accommodations for four people. 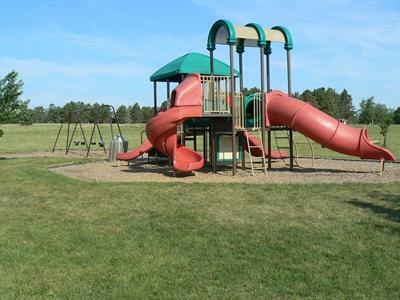 Included are a set of bunk beds, double bed, table, benches, outdoor fire grate and picnic table, and heating/air conditioning. 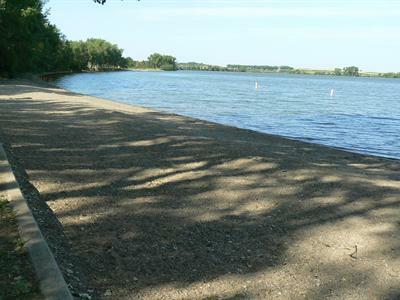 Guests at Pelican Lake Recreation Area can relax on the beach, fish for walleye, northern pike, perch and bullheads, and check out games for family fun. 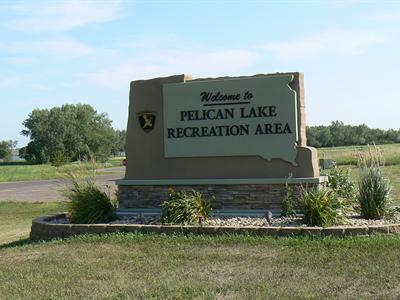 Pelican Lake is a popular stopping point for migrating waterfowl. Each fall, geese and ducks use the lake's open waters as a resting area. A variety of shore birds spend their entire summer in or near the park. Most noticeable are the large white pelicans that frequent the lake. Pelicans were so numerous when the region was first settled that the lake was named in their honor. 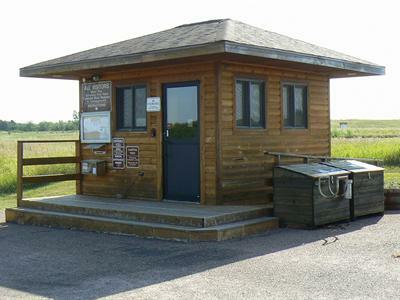 An observation tower on one of the hiking trails gives visitors a bird's-eye view of the area. Last camping trip of the year, bathroom was clean nice and quiet. Nice campground, have camped here numerous times throughout the camping season, it's always clean in the bathrooms the staff is friendly and just a nice place to camp will make plans to camp there again in the years to come. We always have a great time at this campground! The cabins are great as well and the bathrooms/showers are not bad at all.